The Canadian Anti Spam Legislation is now in effect. If you didn’t receive my Norwex newsletter this month, you need to re-sign up for it. If you are new here, you are also invited to sign up for my Norwex newsletter if you are interest in having the monthly Norwex specials sent to you directly via email. See the link to sign up on the right sidebar. Happy Valentine’s Day! We have a one day sale for you! 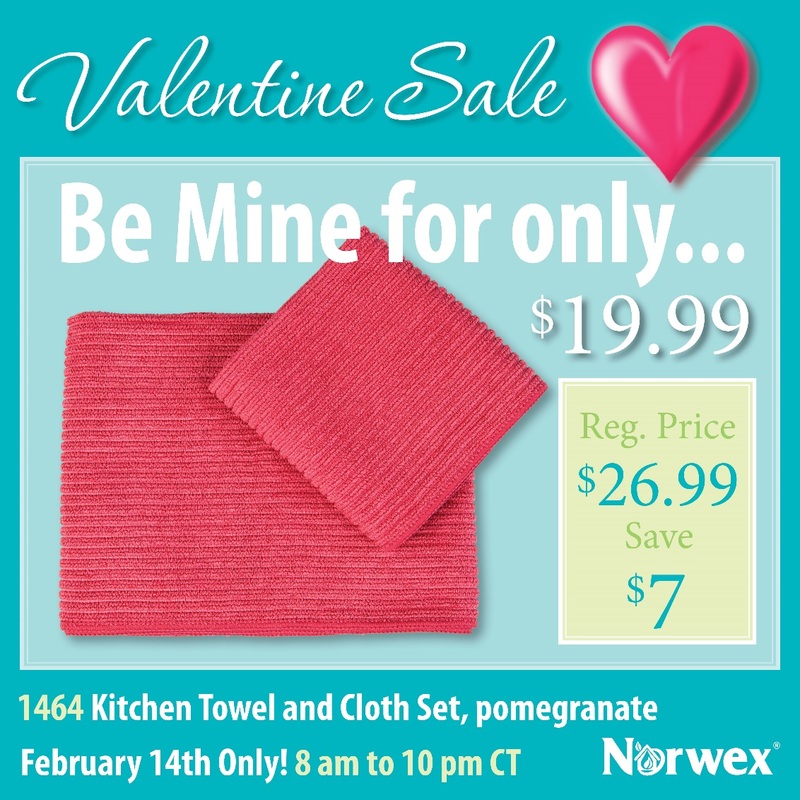 Visit my online Norwex store. Use the dropdown arrow to choose the pomegranate colour.